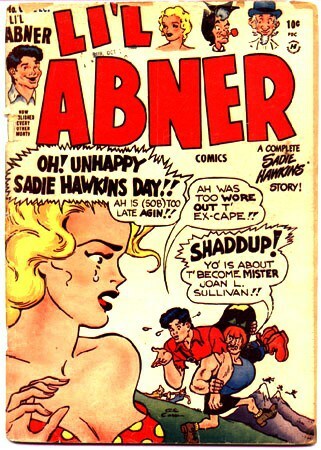 Back on November 15, 1937 the comic strip Li’l Abner announced Sadie Hawkins Day. In this newspaper cartoon, Sadie’s father was worried his daughter wouldn’t find a husband, so the town held a race and any man Sadie caught had to agree to marry her. Since then this tradition has taken off. In my research I have found the first Saturday in November is often considered Sadie Hawkins Day. But many communities hold to the first time the comic strip appeared which is November 15th. However, Li’l Abner is not the first place this idea came into being. History says this tradition originated in Ireland, back in the 5th century. Apparently, St. Bridget was complaining to St. Patrick how women were having to wait too long for a man to propose. (Somethings never change huh?) St. Patrick’s solution was that women could propose on February 29th during leap year. So every four years, ladies during the 5th century had their shot at proposing marriage to men. But that’s not all. February 29th had no legal status according to ancient English law and this idea spread to include traditions as well. Since leap year came into being to fix a problem in the calendar year, people drew the conclusion that it could also be applied to fix the custom of only men being allowed to propose marriage. Want documentation? Look back to Scotland in 1288 when nobles supposedly passed a law permitting women to propose marriage to a man of their own choosing during leap year. Further more, men who declined the proposal, had to pay a fine. Things are sketchy as to what the fine was. If you want more history, check out the Wikipedia page. Now that you know how this all started, are you going to take advantage of old English law? While you may not live on English soil or have a man in mind to propose to, you can still leverage the freedom of the day. What will you do to find love and meet new men? 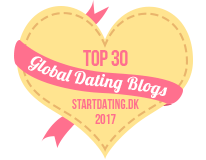 As a dating coach for women, I have some suggestions of course! 1. You know that guy you’ve been drooling over at the water cooler? It’s time to be bold and ask him out for a casual beer. Don’t say the word “date” which might make him squirm. Be cool and ask if he’d like to have a beer or cup of coffee with you. Normally I’m not a fan of women pursuing men. But, it’s just one day, so what the heck – go for it! 2. 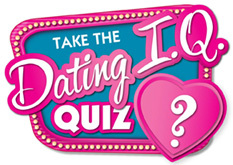 Are you signed up for online dating? If you are, send emails to five guys today whose profiles you’ve been checking out. Write a short, light-hearted note and ask a simple question to engage him in conversation. 3. Smile and say hello to as many men as you can during your day today. This is excellent flirting practice regardless of what day it is. You just can’t lose by being friendly and approachable. And you could make a man’s day and a new connection with your unexpected attention. 4. You can find love on Facebook – many have! Browse through your friend’s friends to see who they know, that you want to know. Then ask your friends for an introduction. Don’t know what to say? Blame it on Sadie Hawkins Day! Just say today gives you the right to approach men who you find attractive. “Nuff said. 5. Ask every friend, family member, neighbor, social connection and colleague you feel comfortable with if they know anyone to fix you up with. I met my husband on a blind date so don’t “pooh pooh” this powerful method to find eligible bachelors. When you spread the word that you want to meet men and find love and put your network to work for you, magic can happen! Okay, that’s five powerful ways to leverage the tradition of Sadie Hawkins Day to find love. Pick one or try a few. This is your life not a dress rehearsal, so stop waiting around and do something. Today’s the day of all days – don’t miss out on this once a year opportunity to find love and the right man for you. Leap Year – It’s Sadie Hawkin’s Day. Will You Ask a Man Out? Is He A Player? How Can I Tell?